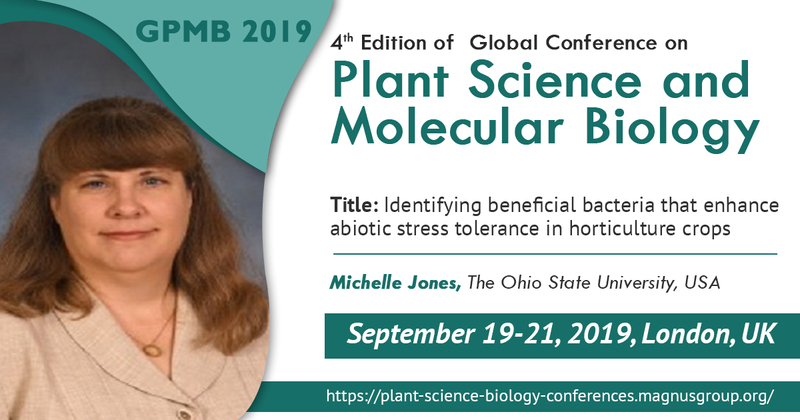 Meet our Keynote Speaker Michelle Jones, The Ohio State University, USA #GPMB2019 at 19-21, 2019 September London, UK. 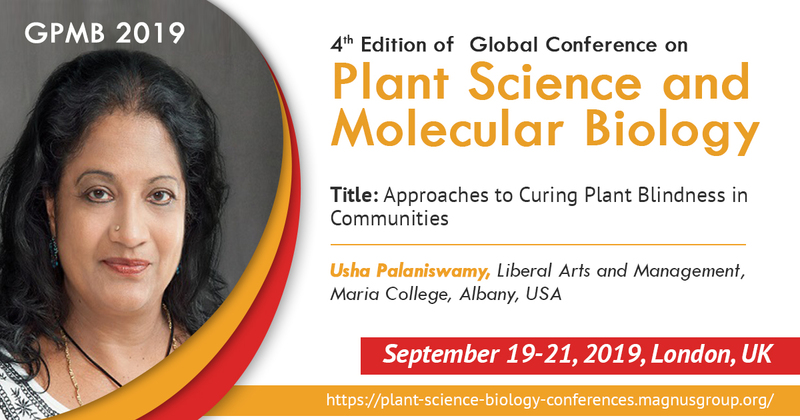 Listen our Keynote Speaker Usha Palaniswamy, Liberal Arts and Management, Maria College, Albany, USA in 4th edition of Golabal Conference of #PlantScience and #MolecularBiology #GPMB2019 at 19-21, 2019 September London, UK. 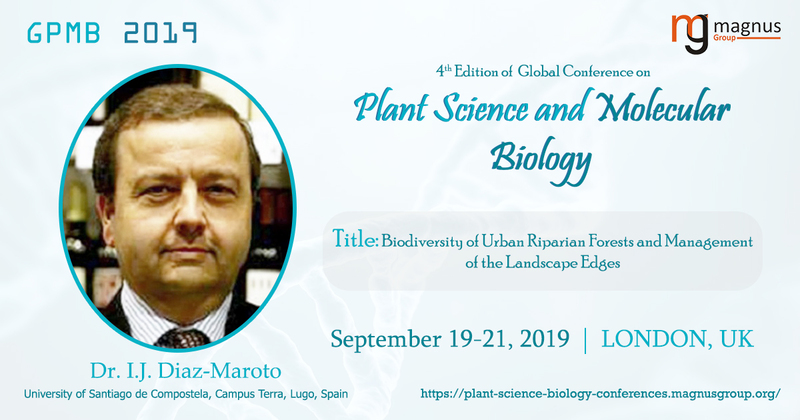 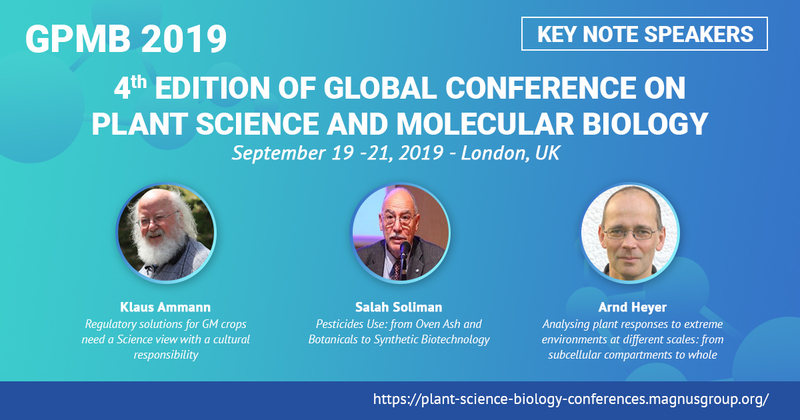 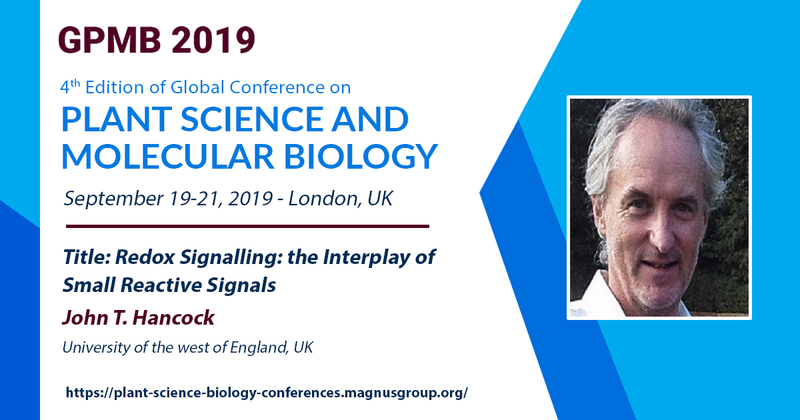 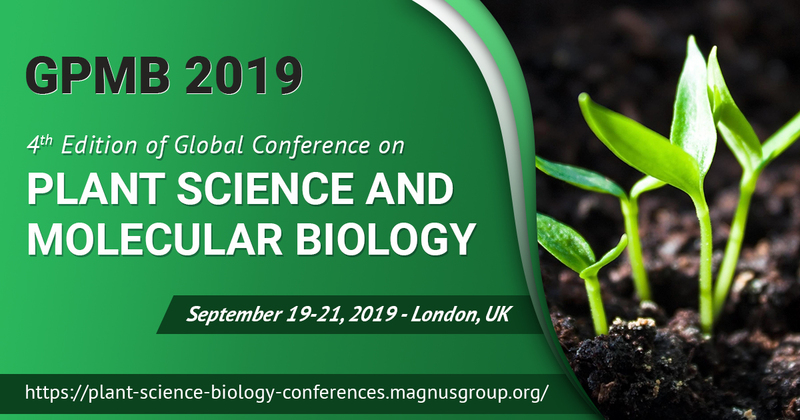 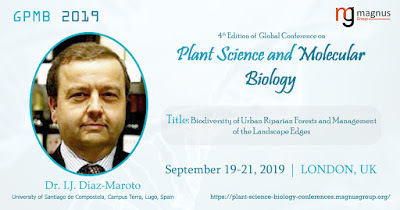 Welcome our Keynote Speaker at 4th Edition of Global Conference on #PlantScience and #Molecular Biology #GPMB2019 during September 19-21, 2019 in London, UK. 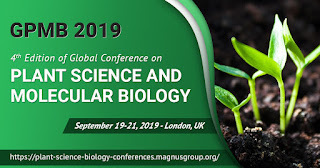 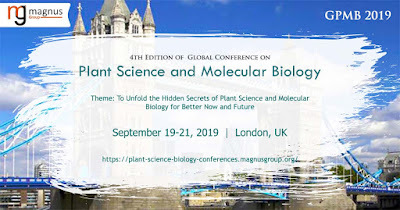 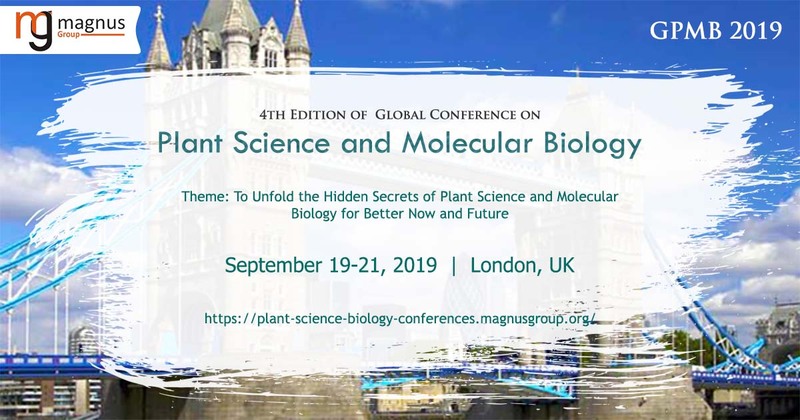 Following the overwhelming success of GPMB 2017 and GPMB 2018, we are glad to announce "4th Edition of Global Conference on Plant Science and Molecular Biology” during September 19-21, 2019 at London, UK. 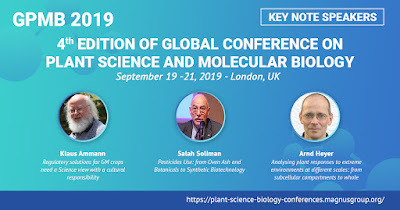 GPMB 2019 will provide a dedicated platform to peer researchers, young inspired scientists, academicians, and industrialists to meet, discuss and share the knowledge that’s still more to be revealed in the field of plant science and molecular biology. Added Value: The series of talks, poster presentations, workshops, discussions and networking events will keep participants engaged in learning and making new connections at this Plant science Conference.